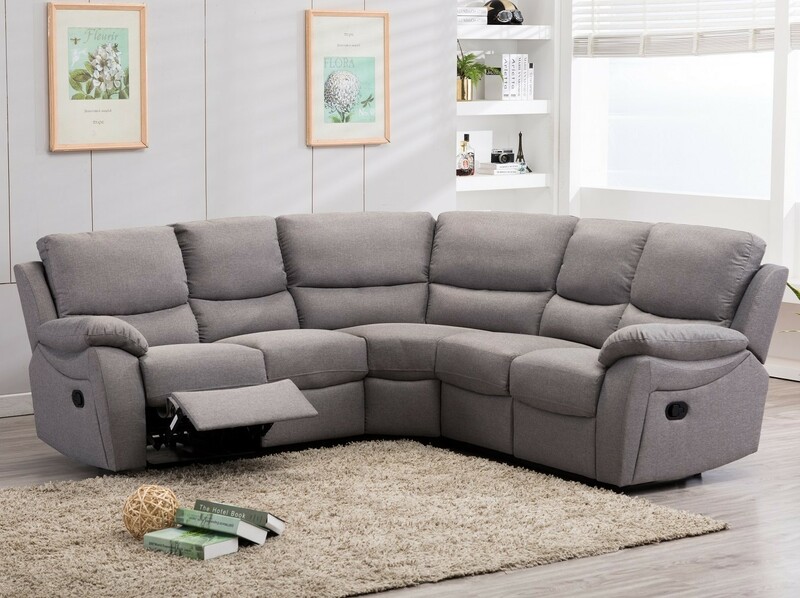 The Ludlow corner group has a smooth curved appearance makes a great addition to your home, with its cleaver compact design it enables you to utilise your living area. 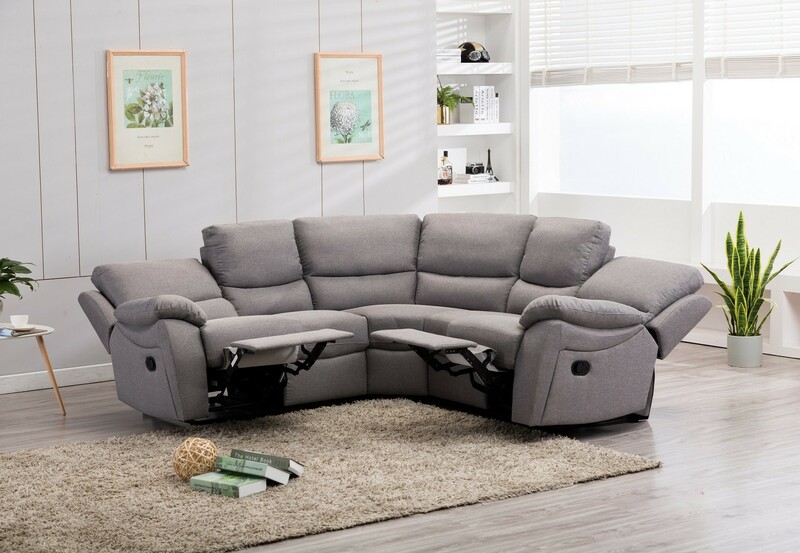 Relax in the deep foam filled cushions and simply pull the lever to activate the recline position. 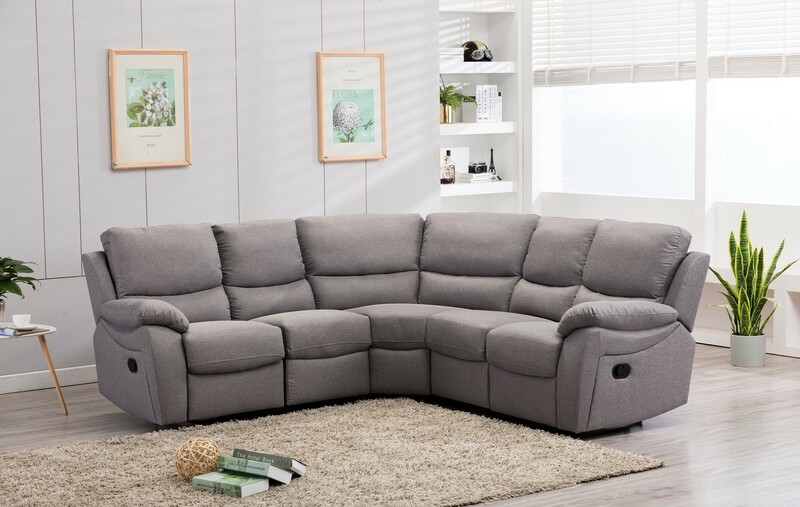 Upholstered in soft, durable grey linen and featuring manual reclining action. This item requires self assembly, e.g. slotting each sofa piece into place.